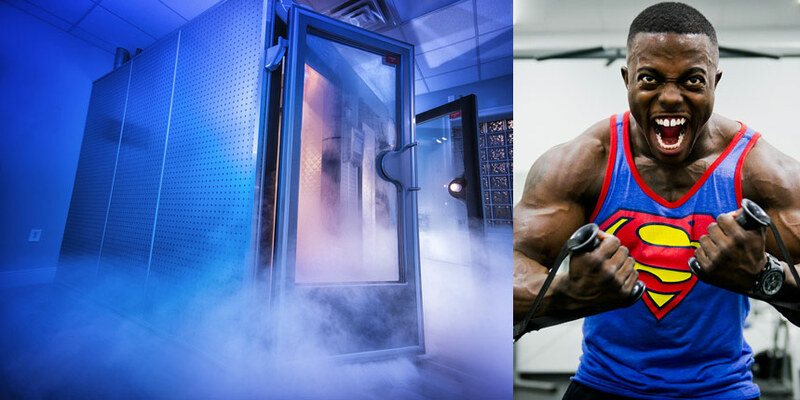 So… You’ve finally braved up to do your first session at a cryotherapy chamber for athletes, and are curious to find out what the experience will feel like and what to expect afterward. Whole Body Cryotherapy has been quickly growing in popularity among numerous international professional sports stars, from LeBron James to Kobe Bryant and many others in between. 1.Know the Difference Between a Cryogenic Chamber and a Crysauna: Before we get to the actual experience, let’s get rid of any confusion. A cryotherapy chamber for athletes is a less available option for getting your freeze therapy fix, than a cryosauna (the kind we have at Cryotherapy Toronto). Both tech types perform the same function. The main difference is simply that a cryogenic chamber can fit up to a few people at once (depending on the type of the machine) as it looks like a mini room that people can walk into, while a cryosauna can fit one person at a time and looks more like a capsule. Furthermore, a cryotherapy chamber is a fully enclosed space from top to bottom while a cryosauna has an open top and an easy to open door locking system, which makes it very safe. 2. Discuss Your Medical Conditions and Check Contraindications: Although numerous (European) studies have shown that the freezing therapy at a Cryotherapy chamber for athletes has not been harmful in generally healthy high-performance athletes, there’s not yet been enough studies looking at this in an average person with diseases or illnesses. Hence, if somebody has a family history of stroke, cardiac disease or risks of a heart disease, hypertension, and deep vein thrombosis, among other conditions, it is important to check with your healthcare practitioner to make sure it is OK for you to try this new treatment. Check out our complete list of medical conditions that might limit who should undergo the cryo treatment. 3. What To Wear: During your cryo treatment session, you should be wearing your underwear or shorts or bikini bottoms, a dry pair of socks that preferably go a third of the way up your calf (don’t wear the one you come in in as sweaty feet could cause a frostbite), special thick booties/clogs (provided by us at the Cryotherapy Toronto center), and mittens/gloves. All other parts of your skin will be exposed as the bursts of cold air hit you. If you are using a cryotherapy chamber for athletes, you will also be required to wear a mask to cover your nose and a headband to cover your ears since your entire body will be exposed to the cold mist. 4. How It Feels: As your session begins, you will literally be standing in a chamber that looks like a pod. As the liquid nitrogen that is used to cool down the sauna, starts to create vapor, it will hover at the top of the cryo machine, just below your face. As a fun side note, if you blow on the vapor, it will create a cool smoke effect that is really cold;). customers step into the capsule-like machine. After two to three minutes, skin temperature drops to 10 degrees Celcius and you can exit the cryotherapy chamber for athletes. It’s three minutes of, depending on how you generally react to cold, your own personal hell trying to freeze you over. Many athletes actually get a kick out of it. Well, after the very first time they go in and already know what to expect after the initial mini shock. 6. Is There a Risk of Frostbite? Wearing the provided booties, mittens or gloves, and bringing a pair of dry socks will generally protect you from frostbite in a moisture-free cryosauna. If a full head-to-toe cryotherapy chamber for athletes makes you nervous because it is fully enclosed, then our open top sauna will give you a peace of mind! 7. Don’t Forget Cardio: Once your treatment in the cryotherapy chamber for athletes is finished, it is highly recommended to do a few minutes of cardiovascular exercise to get your body to warm up quicker. 8. The Endorphin Rush: The first thing you will notice after your cryo session is an enormous rush of endorphins and energy right after. This sensation, that is often accompanied by pain relief of your sore muscles or injury, will last for about five to eight hours. The muscle spasticity is reduced as you feel endorphins and adrenaline release. As an added “bonus”, you may also notice a little bit more mental focus, so skip those 10 cups of coffee and get even better results without the side effects of the caffeine. You may also notice that that night you get a better sleep. 9. Long-Term Effect: The more regular treatment sessions in a cryotherapy chamber for athletes you get, the longer lasting the healing effects will be. If you do 10-20 treatments (cryo packages available on our website), the effects will last between two to three months. As you continue getting cryo, the inflammation in your body will be eliminated and the immune system will get a boost. 10. Identify Your Treatment Frequency: Even before your initial cryo session, the cryo center specialist will discuss your health issues and goals as to identify the best type of a plan for you. Depending on your current condition and needs, you will then decide how often you want to get your cryo sessions. Check out our list of suggested weekly treatment frequency here. At Cryotherapy Toronto, we use a very safe one person cryosauna, and most of our athlete customers purchase treatment packages: basic, pro, elite. You can grab your first trial treatment session with us for an introductory low price of only $40, here.